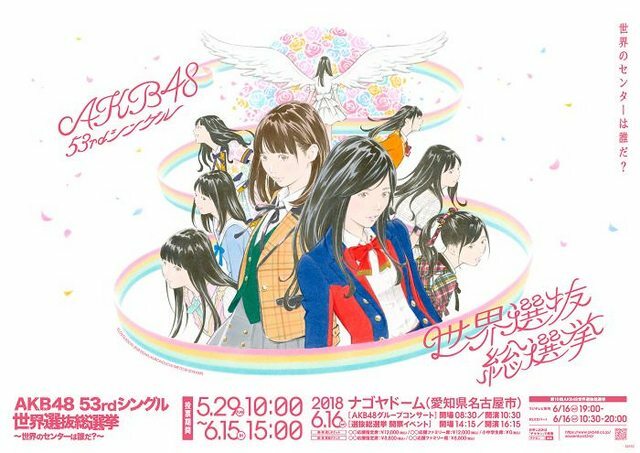 Discussion in 'AKB48 News & Releases' started by ForrestFuller, Jan 29, 2018. June 16th!! woooooooot here we go Hiroshimaaaaaa!! Seems like the management is shifting responsibilities to wotas. First with the draft and this lol. With the current trend in the voting matter -> Niigata. I guess AkiP is planning to “graduate” and turn the whole thing into some sort of crowdsourced-democracy? Fortunately it doesn't look like we're voting on it, just nominating. Yes people are providing the candidates for AKS to choose from. May the best proposal wins. SKE's 10th anniversary + (most probable) Jurina's win? It's only right. Sapporo Dome! Only Sapporo Dome! lol if the management of the prefecturs will promote the promotion of their stadium(?) for future election. Can’t wait for June 16th ;0000 Three way battle or just Ogiyuka kicking asses? Tiny venues are out though. People (me included) joked that having a roof was the only condition, but actually there are three: 1 space for tens of thousands of people, 2 easy access (transportation) and accommodation, and 3 a roof. In fact the first condition takes out most non-serious options (including, sadly, Mikurin's house), since it's not just “a large number of people”, but specifically “tens of thousands” (数万人). Ahh i was hoping there would be an actual sousenkyo for the venue of the sousenkyo. new gimmick voting ticket included in the 51st single. We vote for pretty much everything since the emergence of Showroom. Lat year we voted for the chair. how the thing is being chosen judged thou? voting? a panel choose to the venue? i'm sure it also depends on the availibility tbh. some of the venue is alr fully booked by baseball. if it's voting, the biggest venue on Niigata will probably win. Anyone is kind to compile which venue is available for that date? How about Budokan? I'd love to have it in Tokyo Dome, however part of me want the member strife to have a concert in Tokyo Dome. Do Kashima Antlers' stadium have roof? Where was the very first sousenkyo held? Go back to the roots lol. Akasaka Blitz. At just shy of 1,300 total capacity, 600 seated. Not big enough. I like the idea too, I might be wrong but isn't it the most well known Japanese concert hall ? Performing there again just sound awesome & so classy.